Mozart’s ‘The Magic Flute’ at the Theatre Royal. 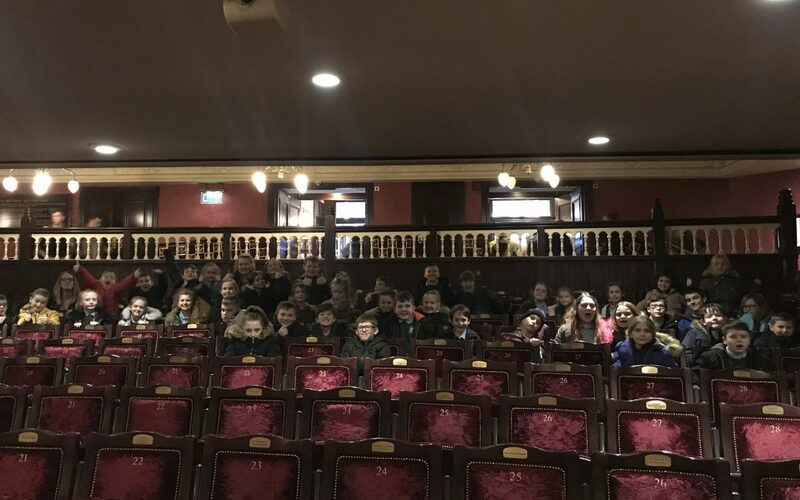 ‘On Wednesday, Year 5 and Year 6 went to the Theatre Royal in Newcastle, to see a production of The Magic Flute by Mozart. It was based on a story about a bird seller, a captured princess, a prince who wants to rescue her, an evil Queen of the Night,a priest and, of course, a magic flute. prince who was chased by a serpent. The story begins when Prince Tamino gets chased by a serpent and faints, but he is rescued when three ladies appear, on the orders of the Queen of the Night and slay the beast. However, Papageno, the bird seller, comes along and when Prince Tamino wakes, he doesn’t correct the Prince when he assumes Papageno is the hero of the moment. The three ladies return and explain that it was they who saved Tamino, and they give him a picture of Pamina, the Queen of the Night’s daughter. Tamino falls in love with the portrait, but is told that Pamina has been kidnapped by Sarastro, a high priest. Tamino vows to rescue Pamina. Hearing this, the Queen arrives and offers Tamino her daughter’s hand in marriage if he is successful. To aid in their quest, Tamino is given a magic flute and Papageno is given a set of magic bells. Tamino and Papageno are led to Sarastro’s temple by three spirits. Papageno scouts ahead; he finds Pamina and he reassures her that she will soon be rescued. Tamino sneaks into the temple and goes in search of Papageno and Pamina. They all run into Sarastro and his followers. It turns out Sarastro is kind and wise, and he insists that Tamino must undergo a series of tests to prove himself worthy of Pamina. Both teachers and children agreed that it was a wonderful performance, full of surprises and of course beautiful, amazing voices. It has certainly inspired lots of us to want to go again to see more operas.